10839Renovator\'s Supply Corner Sinks. 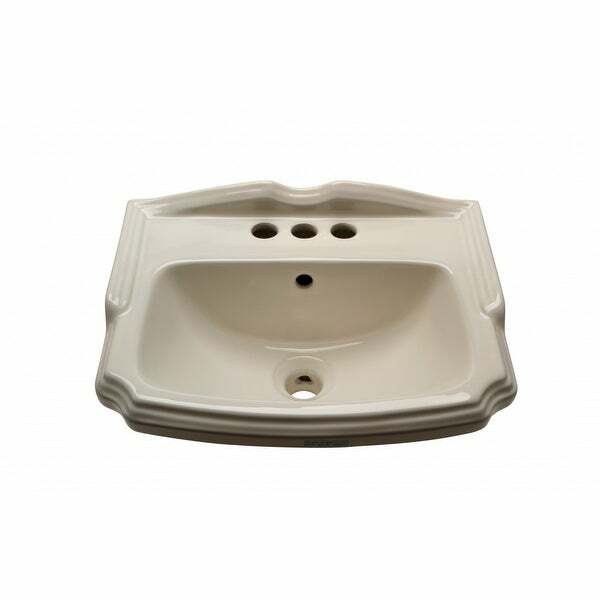 Wall Mount Sinks: Made of Grade A vitreous China the CLOAKROOM sink easily endures daily wear & tear. SPACE-SAVING design maximizes limited bathroom space. Our protective Reno-Gloss finish resists common household stains & makes it an EASY CLEAN wipe-off surface. Ergonomically designed this sink complies with ADA guidelines and includes wall-mount installation instructions. Accepts 4 in. centerset faucet, sold separately. Backsplash is 2 in. H. Measures 19 in. W x 15 in. proj. x 5 1/2 in. deep. Dimensions 14.75 In. X 19.0 In. X 9.0 In.